Ready and available whenever and wherever you are. Help with council permits and location scouting. 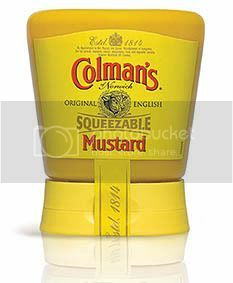 We could be working with a new sponsor on some fun outdoor screenings around Auckland. We'll let you know as soon as we know. Fingers crossed. As always the mobile cinema is available for hire for any outdoor screenings or drive-ins. We're on hiatus for a bit but still available for hire anytime, anywhere, within reason of course. We hosted the world premiere of 28 WEEKS LATER out at Spookers. For those who don't know - Spookers is a great haunted house attraction about 45m from downtown AK. Highly recommended. We had a fantastic night - especially when a miist rolled in and covered the audience - making for one very scary show. 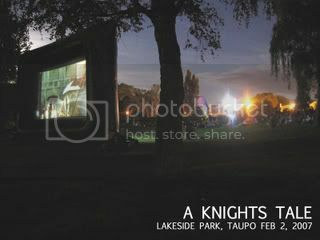 On the evening of Feb 2nd we'll be presenting the rock'n'rollin' medieval jousting flick A KNIGHTS TALE in Taupo. And what makes this event so great is that we'll be screening in the amazing area down by the river during an entire medieval weekend. This means during the next day, we'll eat drink and be merry - watch jousting tournaments, people in insane costumes trying to kill each other. Charlotte from SKY MGM has organised a fantastic outdoor screening that our Cinema Circus is helping with. On Jan 29th we will be screening the immortal Shaw Bros classic '36th Chamber of Shaolin' in the Western Springs Quarry. This will be projected onto the giant Cinema Circus screen. There will be Tiger beer to drink and a weird dude doing tricks. Get there at 8pm and settle in. Bring a blanket, cushions or even a couch!